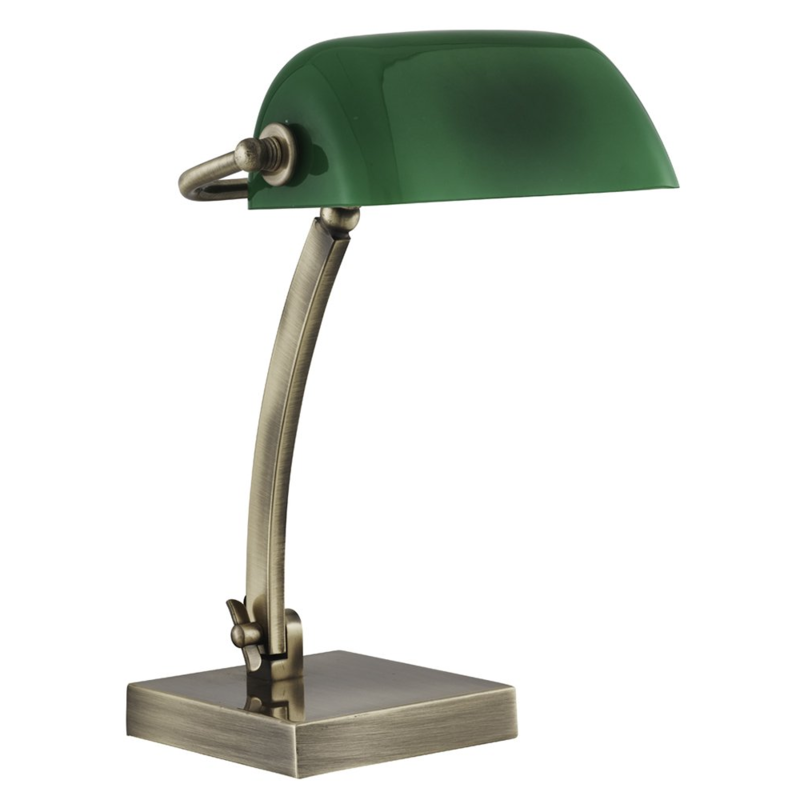 Traditional antique brass bankers lamp with a contemporray twist. The arm of the lamp can be adjusted backwards and forwards by loosening the adjustment at the bottom of the metal arm. The glass shade can also be adjusted. Requires 1 x SES 40watt candle bulb - not included. Product measures: Height - 28cm, Width - 24cm.